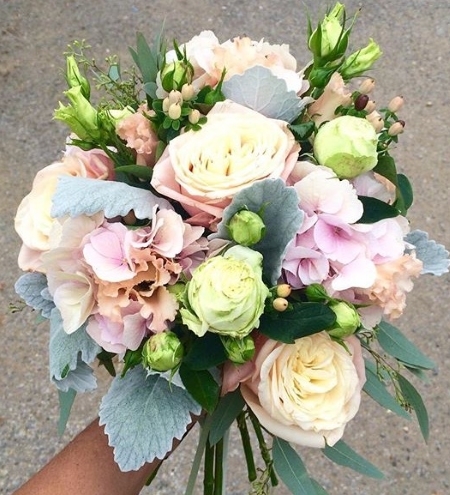 Leonoor Vader is the owner and creative director of Rose&Mary, creating gorgeous wedding florals from her studio in Richmond, London. 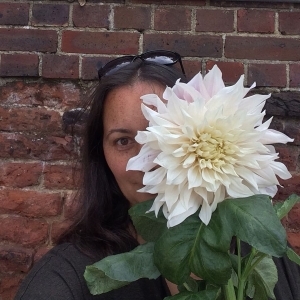 Leonoor shares her story and top tips on what it takes to be a successful wedding florist. We do bespoke wedding flowers mainly. Lots of local brides that are getting married in one of the stunning hotels on Richmond Hill or in The Royal parks. We also supply weddings in Surrey, Buckinghamshire and in Central London. The Bird lovers wedding with a parakeet feather buttonhole. We never make the same flowers twice and it’s the little individual touches that make it such a pleasure to be a wedding florist. 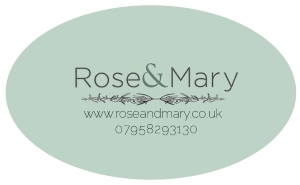 Rose&Mary was founded in 2014, the year my twins started primary school. I came from Holland to study a masters at UCL in fine art (sculpture). 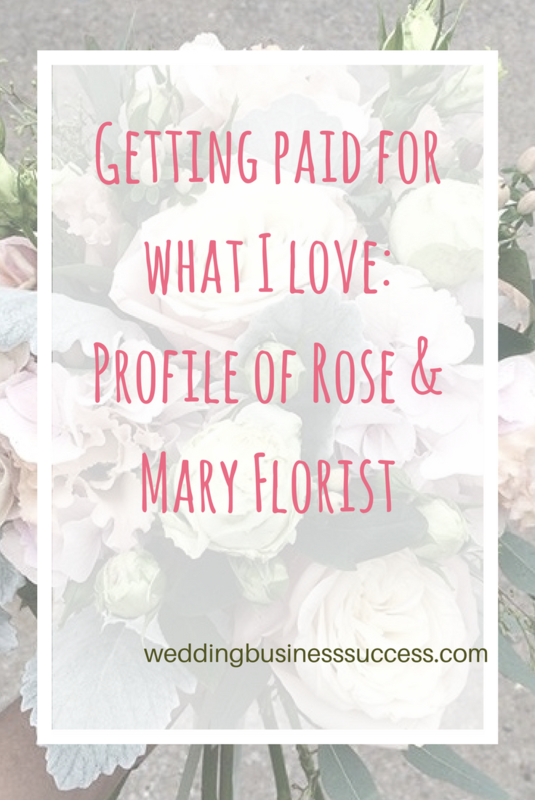 I always worked part-time as a student in flower shops and after having 3 children it was time to drop the art and concentrate on becoming a full on florist. I spent over 10 years working at a very boutique florist in Chelsea trying to juggle 3 young kids and working. In the end I was so fed up working for other people that I decided to set up on my own. I had all the experience I needed and now I can work around the kids much better and earn a lot more than I did being employed while doing a lot less hours. I have a small studio around the corner from their school and the workday ends at 3! I started with a website, a Facebook page and a Pinterest account. My day starts just after I have dropped the kids at 9. Monday is tidy up day in the studio, Tuesdays and Wednesdays are for paperwork, consultations and buying in stock for the weekends ahead. On Thursday and Friday I’m in the studio making up the wedding arrangements. For big weddings I hire in extra staff and I sometimes have a work experience person in. Saturdays are for installing the weddings but I also do a lot of weekday and Sunday weddings. I like the weekday weddings best! I’m usually done by 3 just in time to get the kids from school. Mostly through Facebook and Google, sometimes from other wedding sites. I also get clients through word of mouth and guests at previous weddings who are getting married themselves get in touch, which is lovely. I love all the weddings I do and put my heart and soul into every single one of them. Some weddings are huge, some are small. It’s all good. 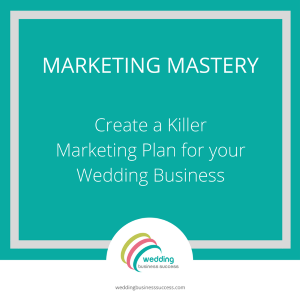 The best weddings I have done is where the bride-to-be was very clear in what she wanted, everything was available and reasonable at the wholesaler (and I stuck to my budget!) and she left me a glowing review. I also like the unusual requests and the think-outside-the-box brides where their own personality shines through rather than trying to be a Pinterest copy. The worst wedding was a bride who kept changing her mind and contacted me for nearly a year on a weekly basis with questions. Not once did she look at my Instagram or FB page to see my style of floristry and in the end changed all the venue flowers to fake and asked me to make the fresh flowers to match. She showed me images of interflora flowers at one point, I nearly cried! Growing my business, taking on more staff and getting a bigger and better studio. I would like to take to focus on the paper work and designing and let my lovely girls do all the flower arranging. 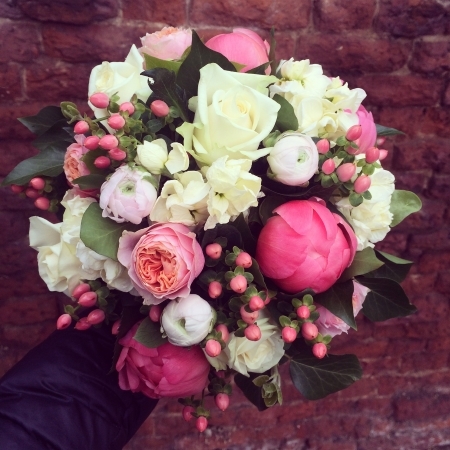 Do you have a top tip for someone starting out as a wedding florist? I would go and work for someone else first to learn the trade. 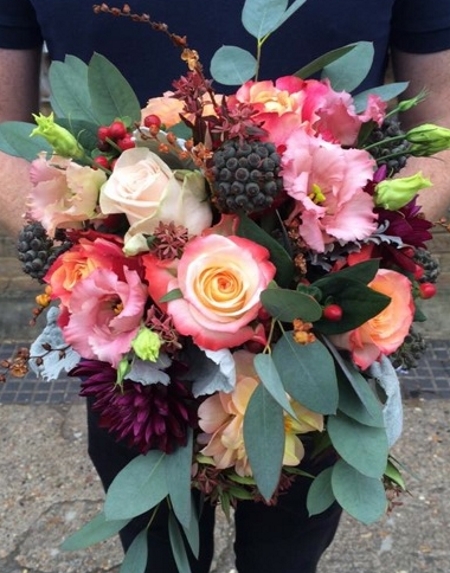 There is a lot of technique involved in wedding floristry. You also have to know what is in season at what time of year and what goes well with what. 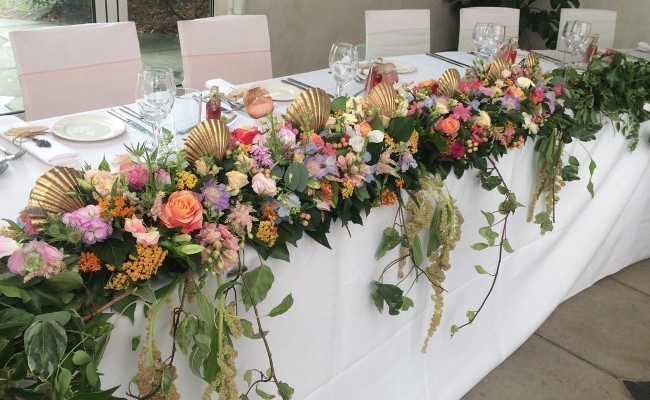 The hardest part of this business is not pottering around making pretty arrangements but being able to send strong, realistic quotes and then ordering enough flowers and greenery for the event and to allow yourself to be paid for your time. It takes time to learn all that and it’s not easy.